Think of a media kit as a resume for your blog. 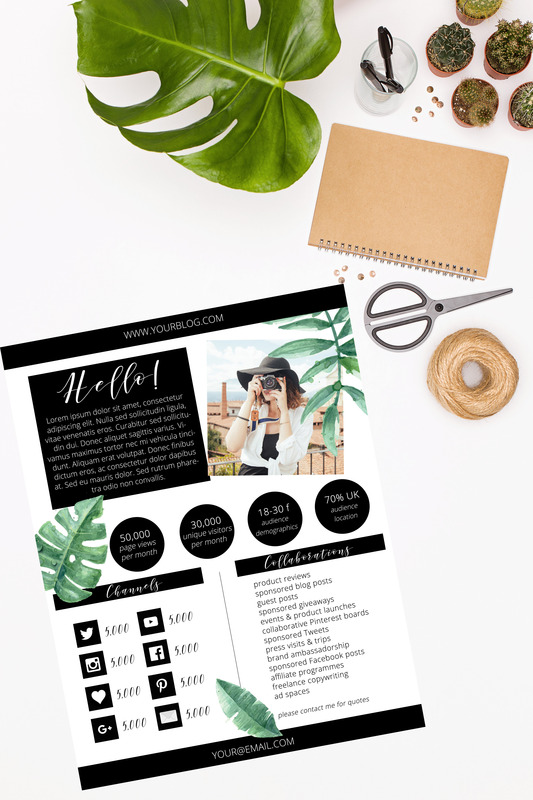 This 1-page media kit comes in a .psd format & is easily editable in Photoshop. Immediate download. 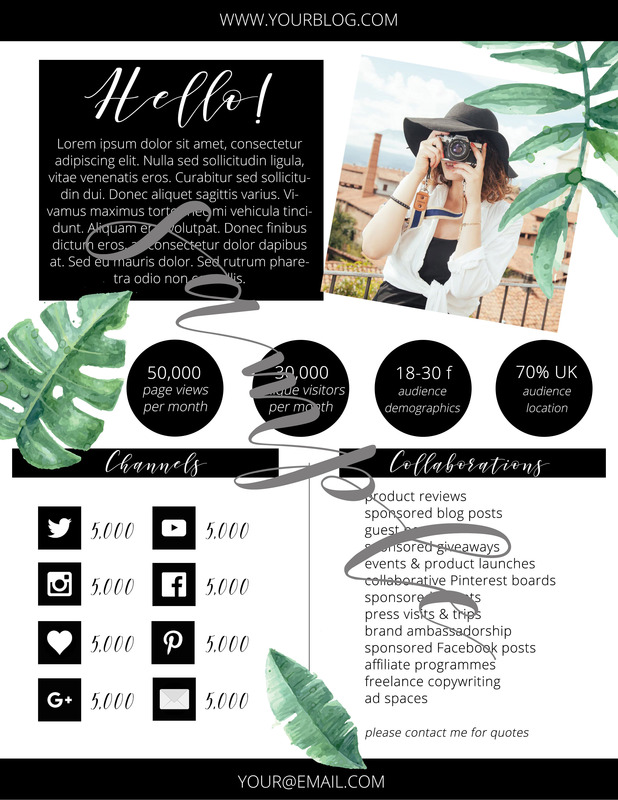 Read my guide on media kits & how to use them effectively.